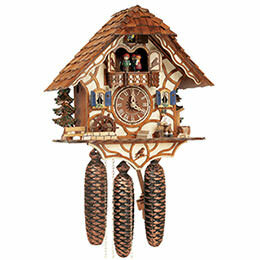 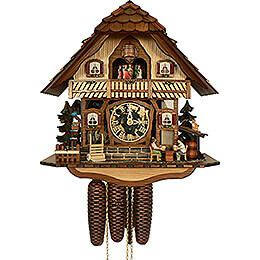 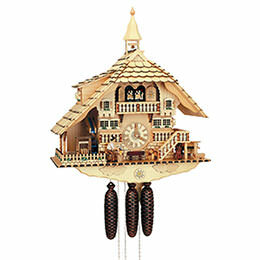 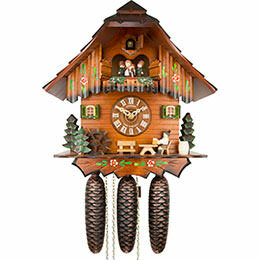 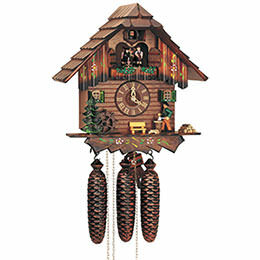 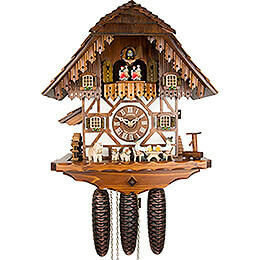 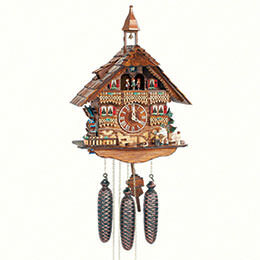 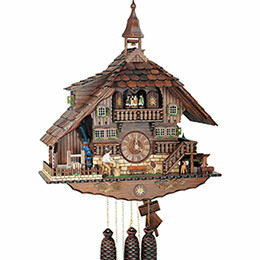 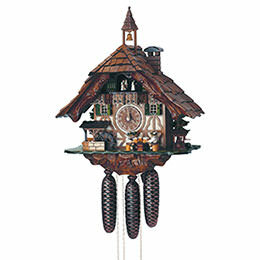 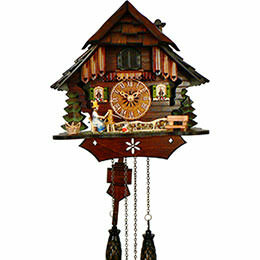 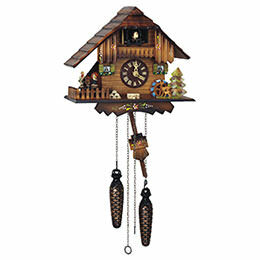 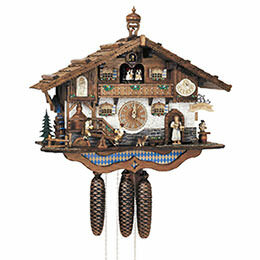 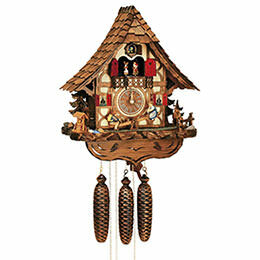 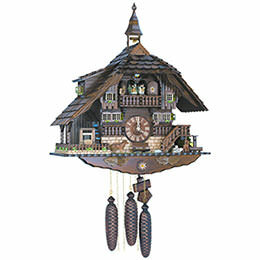 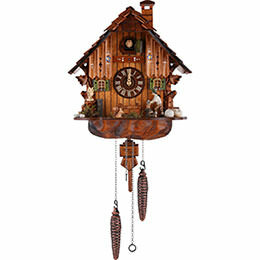 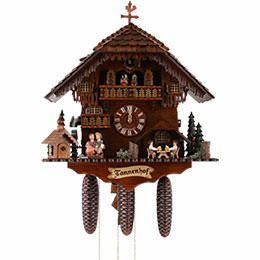 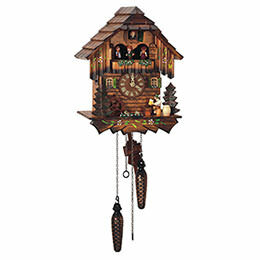 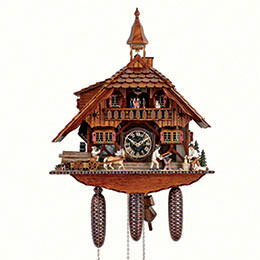 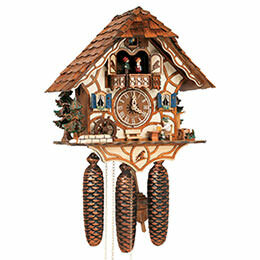 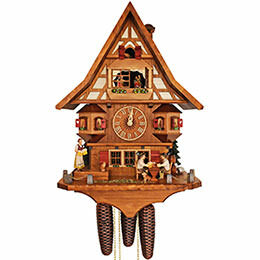 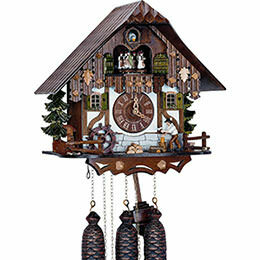 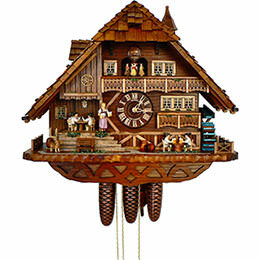 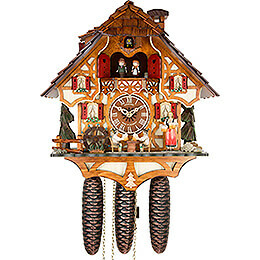 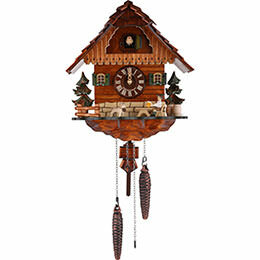 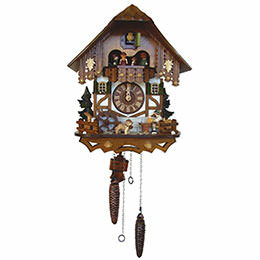 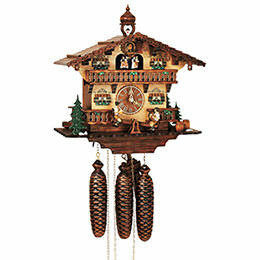 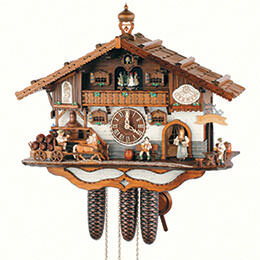 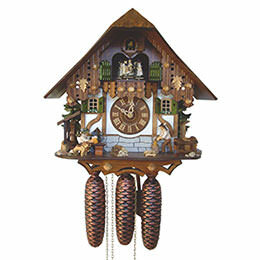 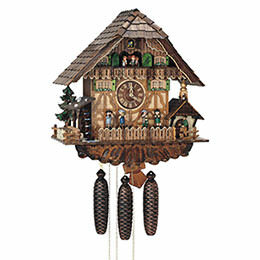 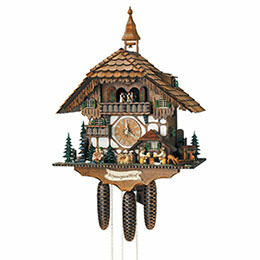 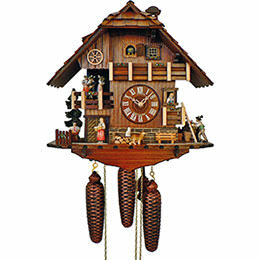 Cuckoo clocks from the clock factory of Anton Schneider Söhne are worlds of their own: They tell stories from farming life in the Black Forest in the smallest of spaces, yet with many details. 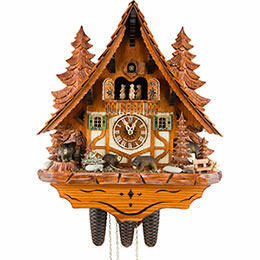 These everyday situations from an idyllic time have inspired the company, and serve as the source of inspiration for beautifully designed Black Forest clocks, making it easy to be enchanted by these masterpieces from Anton Schneider. 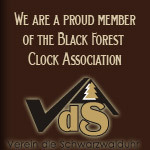 The company was founded in 1894 and is now in the hands of the sixth generation. 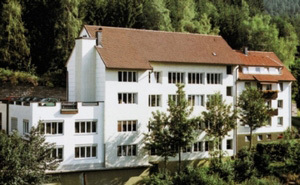 Anton Schneider Clocks has been located at its present facility in Schonach since 1952 and employs 24 staff members at present. 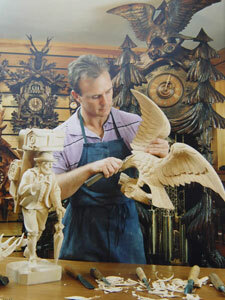 Its large and modern workshops include areas for carpentry, woodcarving, clock assembly and the final check, with all stations of clock-making production under one roof. 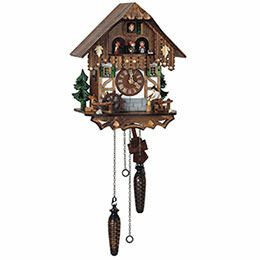 They set great store in the thorough training of the woodcarvers, so as to keep this old artisanal craft alive on the highest level. 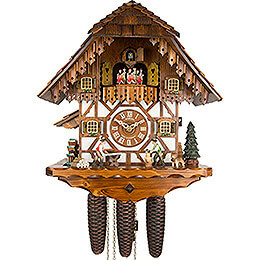 But at Anton Schneider Söhne the focus is not only on the external design; a great deal of importance is also attached to the interior of the cuckoo clocks. 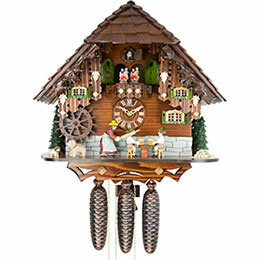 The company makes a constant effort to further develop Black Forest clocks and put new innovations on the market. 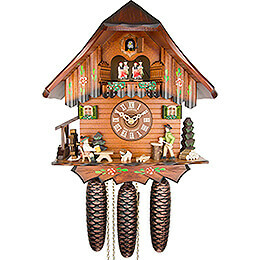 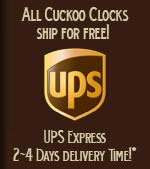 The automatic night shut-off for 1-day clock movements, for example, is one of these new developments from Anton Schneider cuckoo clocks. 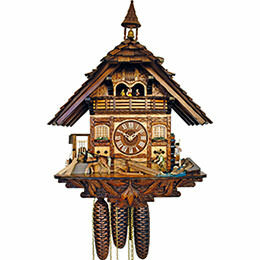 In all of this, the cuckoo clock factory not only feels connected to the Black Forest, but also feels an obligation to it: The raw material of wood naturally comes from the domestic forests; local suppliers almost exclusively ensure that the regional industry is strengthened. 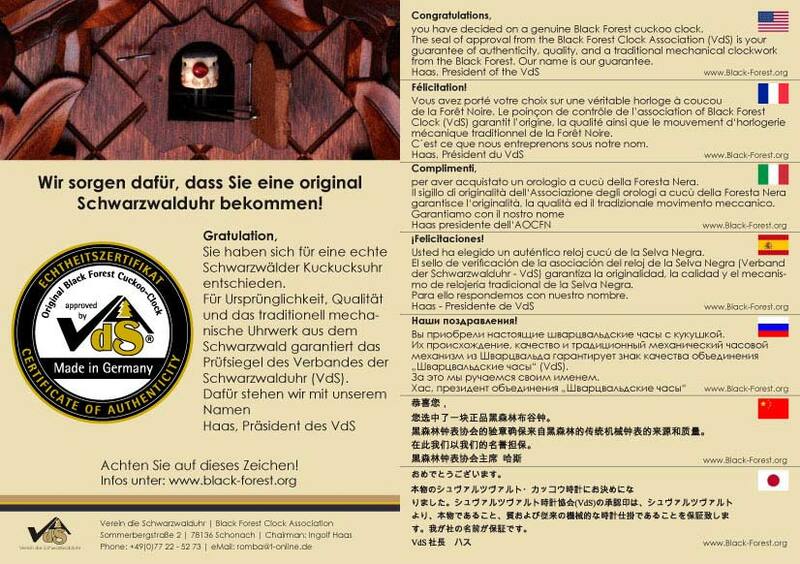 Moreover, a low level of staff fluctuation shows a high level of loyalty of the local staff, a strong basis for high quality, “made in the Black Forest”. 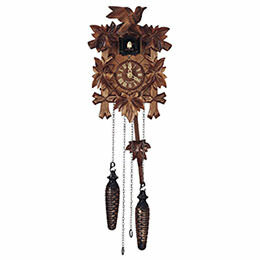 This is something appreciated around the world, as shown by the requests for exciting custom-made products, such as a special clock made to honor the Princess of Thailand. 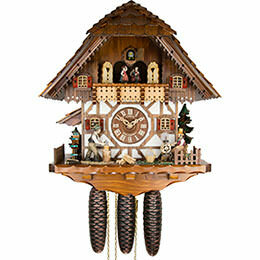 Special clocks for birthdays and anniversaries are also created by Anton Schneider. 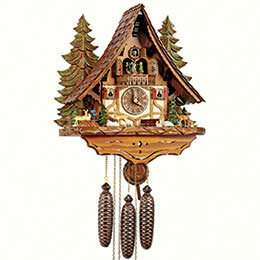 In this way, even people in far-away countries can bring home a beautiful piece of the Black Forest.